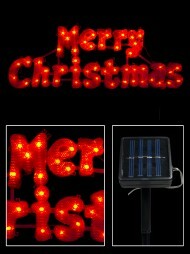 Light up your deck, porch, patio or garden with our range of quality solar powered Christmas lights. At long last, the world of eco-friendly and green living has merged with the world of decorating for the Christmas season. 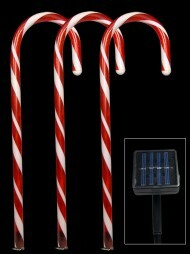 The Christmas Warehouse is fortunate enough to stock solar powered lights for the most environmentally conscious of guests. 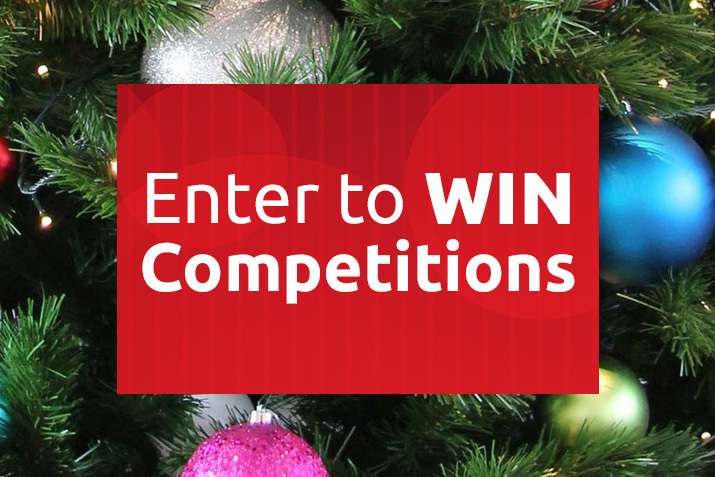 Lights are an essential component of the holiday season. Light displays both indoors and out and created to instil the child-like sense of wonder that we feel at Christmastime. Unfortunately, those twinkling lights must be powered from some source of energy. 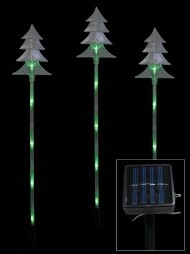 The solar powered lights at the Christmas Warehouse are powered by individual solar panels. Leave these panels in the sun, and the lights will gain enough energy to shine through the night. The solar panels contain rechargeable batteries which charge when the sun is shining. As the solar lights contain no plugs, they will not cost anything in terms of the electric bill. Because the lights are LED lights, they use 95% less energy in the first place. Additionally, LED lights burn brighter and last longer, reducing the need for waste. LED lights are the most eco-friendly variety on the market today. 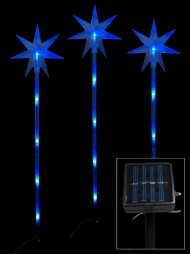 If you have a heart for the environment, or simply enjoy the idea of Christmas lights that charge themselves, try out the solar panelled light solutions from the Christmas Warehouse. You can reduce your environmental impact and save yourself time and money in the meantime. While not many completely eco-friendly products exist, this section of the Christmas Warehouse provides the cream of the crop in earth-saving technology.